You can hide any drive in a minute and when you want to unhide, then you can do it with ease. in this tutorial i will show you two ways of hiding , one through Command Prompt And another through Computer Management. 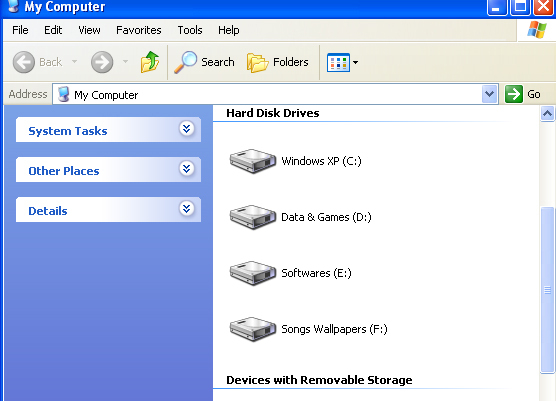 In the console type List volume to see all the drives available on your PC. Now select the drive which you want to hide. Note:Here I have shown how to hide D drive. Now to hide drive D type Select volume 2. Then type remove letter d , this will hide your drive. Now to get your drive back type Select volume 2 and then type assign letter d.
Click Manage or press letter G.
Under Storage, select Disk Management. Right click on the drive which you wish to hide. Now can find your partition will be hidden. In that Assign the following drive letter.